Fiat-Chrysler will invest more than 1 billion euros to retool the Mirafiori factory. TURIN -- Fiat S.p.A. and Chrysler Group will build Alfa Romeo and Jeep models for global distribution as part of a new joint-venture company that will take control over Fiat's Mirafiori plant in Turin, Fiat announced today. Fiat-Chrysler will invest more than 1 billion euros (more than $1.3 billion) to retool the factory. Italy's largest manufacturer is spending 20 billion euros through 2014 to improve factories and vehicle development in its home market in exchange for union concessions on work rules. The plant will produce the mid-sized Giulia sedan and station wagon, which will replace Alfa's 159 range, as well as medium SUVs for the Alfa and Jeep brands. The Alfa SUV will be aimed at the Audi Q5, BMW X3 and Mercedes-Benz GLK, a Fiat spokesman said. The Jeep model will replace the Compass/Patriot model. Output will start in the third or fourth quarter of 2012, Fiat said, adding that half of the production will be sold in Europe and the other half will be exported, mainly to North America. The Alfa models are a crucial part of the brand's relaunch in North America. The addition of the models will raise the plant's production to 250,000 to 280,000 units a year, the company said. The Mirafiori plant made 178,500 cars in 2009. Fiat CEO Sergio Marchionne said today that new labor rules will be needed for the Mirafiori plant. Speaking to Bloomberg about the deal, Fiat union Fismic general manager Roberto Di Maulo said: “This is the plan we wanted. There's no uncertainty about the future anymore.” He added that his union wants to complete an agreement with Fiat by Christmas. Fiat says it is losing money at all its car plants in Italy. Opened in 1939, Mirafiori currently employs about 5,400 workers, who have seen production decline to a forecast 120,000 this year from 217,400 cars in 2006. The factory produces the Fiat Idea, Multipla, and Punto Classic, the Lancia Musa and the Alfa MiTo. Next month Fiat will end production of the 1998-launched Multipla medium minivan and Punto Classic subcompact, which debuted in 1999. Production of the Idea and Musa small minivans will continue until 2012, which is when production of their replacements is set to start in Serbia. The MiTo subcompact, introduced in summer 2008, is included in Fiat's plans unit 2014, but it is unclear whether a future model will be build at Mirafiori after the plant is retooled to make cars based on the Compact Wide architecture. Fiat's and Chrysler's shareholding and investment in the Mirafiori project will mirror the output each expects to source from the plant, a Fiat spokesman said. Fiat will cover about 60 percent of the cost, about 600 million euros, because it wants about 150,000 Alfa models a year. Chrysler will pay roughly 400 million euros to get an annual supply of about 100,000 units of the next-generation Jeep Compass/Patriot that is due to launch in 2013. The Mirafiori factory will build vehicles based on the Compact Wide version of Fiat's Compact architecture, for which Fiat benchmarked Audi and BMW models because it says it wants future Fiat-Chrysler models to deliver best-in-class performance, comfort and safety characteristics. The Compact Wide architecture is 40mm (1.6 inches) wider than the Compact architecture, which debuted in March with the arrival of the Alfa Giulietta hatchback. The first vehicle scheduled to use the Compact Wide architecture is a replacement for the Dodge Caliber, which will be made in United States starting in the fourth quarter of next year, with customer deliveries beginning in early 2012. 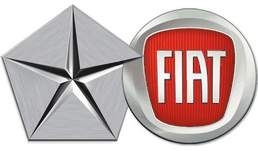 Fiat and Chrysler have been working together since June 2009 to adjust the Compact architecture so it can be used to underpin vehicles sold in North America under the Alfa, Chrysler, Dodge and Jeep brands. Fiat, which acquired a 20 percent stake in Auburn Hills, Michigan,-based Chrysler last year, has said it will raise the holding to 25 percent by the first quarter of 2011 and to 35 percent by the end of next year.